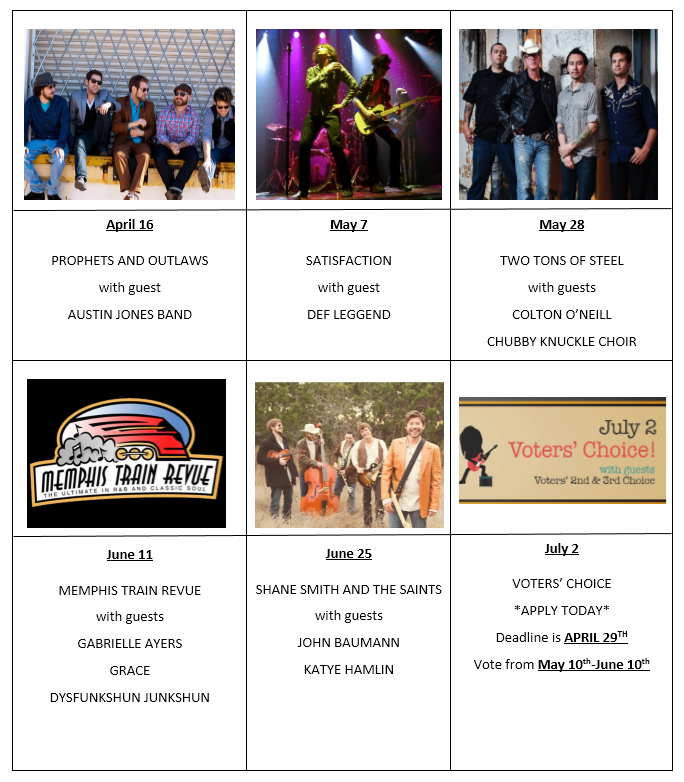 The annual Starlight Music Series has been a summer staple in the Bryan College Station area for almost fourteen years, and the series is making its return very soon! 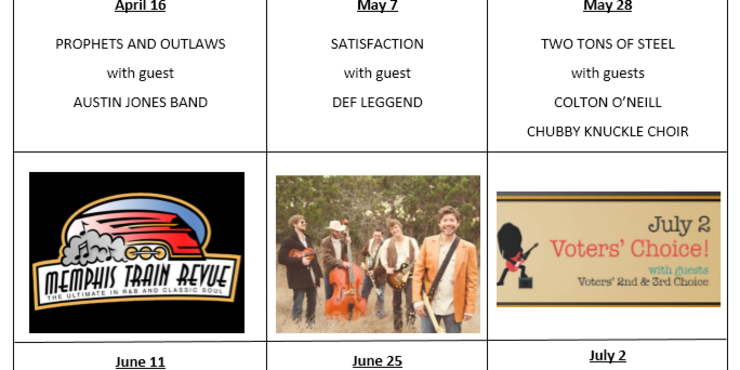 Starting on April 16th, the Wolf Pen Creek Amphitheatre, located at 1015 Colgate Drive, College Station, TX 77845, will be hosting six nights of live music and tons of fun throughout the months of April, May, June, and July. The annual event is hosted by the College Station Parks and Recreation department and is FREE and welcomes ALL AGES to come out and enjoy the shows! The gates for the event open at 6:00 P.M. and the show starts at 7:00 P.M for each concert. For the first time ever, the Starlight Music festival invites YOU to showcase your talent! On July 2nd, an up-and-coming Texas band will have the chance to headline the festival, and fans will get to choose the band! Bands can register to be chosen to win at cstx.gov/starlight. Just go to the page and click on “voters choice” for the registration form. The second and third choice winners will open for the first place headliner. The deadline to register is APRIL 29TH! So, don’t miss out on this awesome opportunity to share your music! Coolers and containers will be allowed into the amphitheater grounds, but they must be no larger than 48 quarts. KEGS AND GLASS ARE NOT allowed! During the festival, concessions will be available for purchase! There will be both blanket-only and chair-only seating areas for each concert. Chairs are welcome, but they are not allowed to be used in the blanket-only seating area. There are also NO PETS ALLOWED and NO SMOKING in the MAIN SEATING area. There will be three designated smoking areas on the festival grounds. Parking is available at the Post Oak Mall and handicap parking will be available from Colgate Drive. Don’t miss out on these incredible concerts put on by our friends at the Parks and Recreation Department!